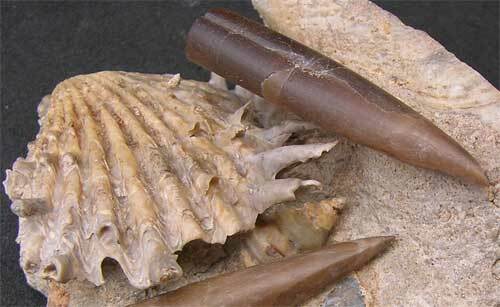 A superb multi-fossil containing three belemnite rostrums (passaloteuthis paxillosus 41mm), one Gastropod (Amberleya cf apitanea 15mm x 10mm) and one Bivalve (ctenostreon rugosum: Juvenile shell 45mm x 42mm). 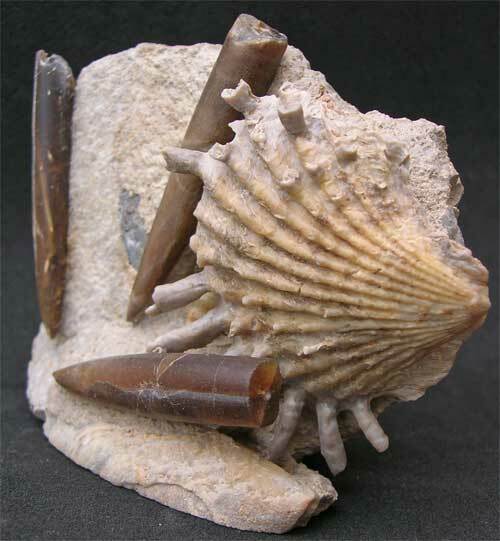 There are many hours of meticulous preparation involved with this unique fossil The spines on the bivalve are truly superb and it is very rare to get them preserved in this way. 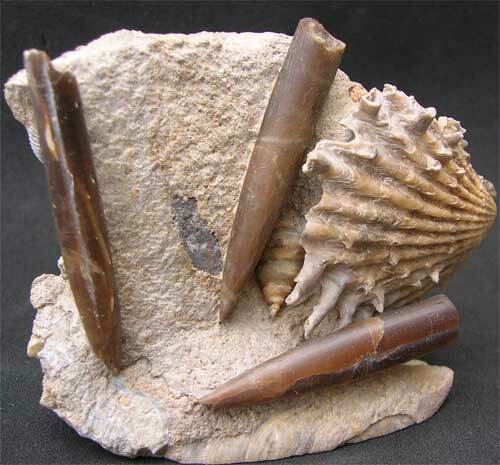 A 'cameo' fossil for the serious collector of fine and rare fossils Approximately 167 million years old. 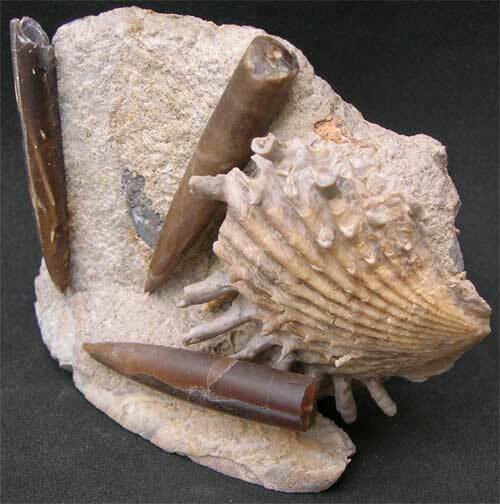 This fossil has been signed and dated by the preparator, Andy Cowap.